A Quinnipiac University poll released Monday revealed a significant lead for incumbent Democratic Sen. Bob Menendez of New Jersey against his Republican challenger Bob Hugin as a shift in Independent voters swung in the Democrat’s favor. The poll of likely voters gave Menendez a 15 point lead over pharmaceutical executive Hugin, 55-40 percent, just one day ahead of Tuesday’s midterm elections. Monday’s results show that Menendez’s lead has more than doubled since their last poll on Oct. 17, which had the Democratic incumbent up 51-44 percent. Independent voters, women and non-white voters are boosting Menendez’s lead, the poll analysis found, with the Democrat garnering the Independent vote by 53-39 percent. This is a significant shift in favor of Menendez, as in the Oct. 17 poll, Independent voters were backing Hugin 51-44 percent. “While they may hold their nose to cast a ballot for Sen. Bob Menendez, voters signal they want to keep New Jersey’s Senate seat in the ‘D’ column in a blue state where President Donald Trump consistently remains unpopular,” Quinnipiac University poll analyst Mary Snow said in a statement. While New Jersey hasn’t elected a Republican to the Senate since 1972, Menendez’s campaign has been drowning in reports questioning the sitting senator’s ethics as well as his bribery and corruption charges. The Star-Ledger editorial board went on to detail Menendez’s bribery and corruption charges, calling it a “miracle” that he wasn’t criminally convicted. As Snow’s sentiment reflects, New Jersey voters may be more interested in keeping a Democrat in the seat despite the 14-count indictment leveled against Menendez, because they’d rather have that than someone who supports President Donald Trump’s agenda. Hugin said Friday that his race against Menendez is a chance for voters to “correct the embarrassment” Menendez has caused for their state. 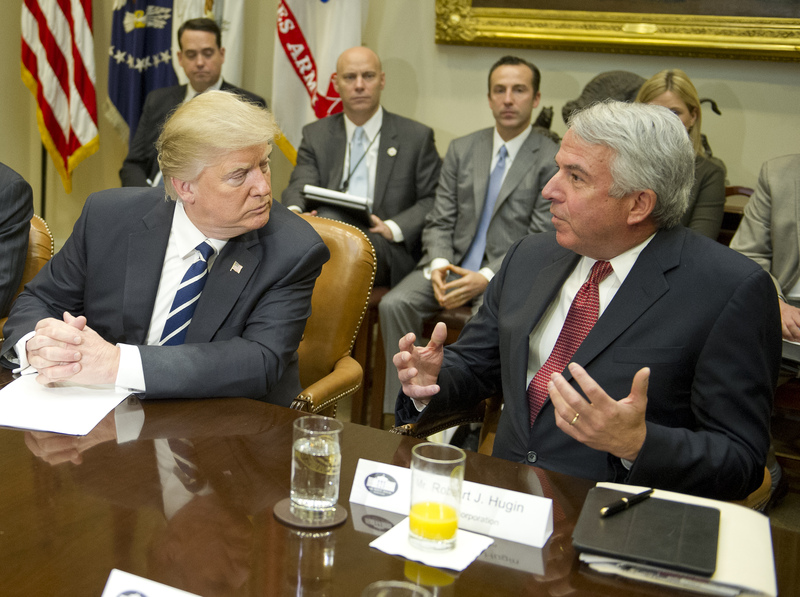 “Here’s a guy who the Senate ethics committee bipartisanly said violated federal law, disgraced the Senate, abused the power of his office and has delivered so little for the people of New Jersey,” Hugin said. “This is right versus wrong. This guy has embarrassed and abused the power of his office and delivered so little for the people. It’s time for change,” Hugin added. The Quinnipiac poll was conducted from Oct. 29 – Nov. 4 with a margin of error of plus or minus 4 percentage points.